From wallpapers to fabrics, floral patterns are never in short supply and there are endless ways to incorporate them into your home to suit the look you’re after. 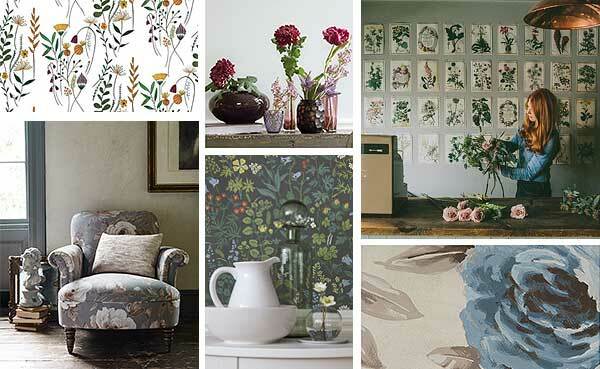 Whether you’re channelling a traditional country cottage vibe, a contemporary feel or an on-trend botanical theme, there’s something out there for everyone. The key to working with these patterns is to isolate the look you want and ensure that anything you incorporate falls in line with this; trying to introduce too many different patterns will jar and the impact will be lost. We’ve found that balance is also something to consider. Contrasting bright, bold and busy floral prints with block colour – whether that be fresh white walls or a plain fabric – will create the perfect backdrop, allowing each piece the space to breathe. Below we’ve pulled out a few of our favourite ideas, to show just how versatile these natural wonders can be.